It is true that with the cold and the snow many people hibernate during the winter. Portrait Sessions may slow down but I think there is something magical about every season. Winter here on the South Shore and Boston are can produce some truly magical image opportunities not found in other more temperate climates. Seeing small children snuggled up in warm clothes or dancing in the falling snow just makes me want to snuggle in and make some hot chocolate! I was so happy when this family chose a winter session. There are so many beautiful imagesand this little boy is just a light of life. You can see it in his little smile! I love being a photographer but I hate having my picture taken. Like many women I only see my imperfections when I look at pictures rather than the beauty that my daughter sees. Tonight I heeded my own words, "You children don't care what size you are or what imperfections you may perceive. They see that you are beautiful just the way you are! Don't wait to get in front of the camera. These are the moments they will cherish forever!" Here are the fruits of my labor! Enjoy! This is such a great time of year! We get to enjoy the sun and the beach! Especially after this last winter! Oh my goodness! We will savor every day of this now! One of my favorite things is photographing kids being kids and what better place to capture those moments than on the beach! A carefree place where families can relax and unwind and kids can be themselves. Love these beach babies! I am in love with the beach! I spend lots of time there with my three year old over the summer and even more time on beach portrait sessions! It is so neat to live in a place in the country where we have so many picturesque locations and beautiful natural settings. What I actually love most about this shoot is that I have been able to work with this family every year since their daughter was born. I love seeing them and watching her grown. Now with another one on the way I can't wait to see what next year brings! So this photo shoot appeals to me on so many levels. One, I love staging fairy tale or ethereal photo shoots. Two, I love working with children. Three, I love being with my child. One of my creative projects for the year is to recreate some of the real Grimm's Fairy Tales. Lucy and I totally got into the Princess and the pea idea! To see some of my other children's photos view my gallery. I had a blast this weekend! Working with kids is my favorite thing to do and this little girl made my day! She is such a little character and so sweet. When I suggested that we have fun and start playing she jumped right in and had a blast. Just take a look! If you want to see more of my work with kids view my Children's Gallery! After coming home from doing the Rapunzel Photo shoot, Lucy said to me, "Mommy, I want to do that!". Well she didn't have enough hair for Rapunzel, LOL but she makes a stunning Red Riding Hood! See some more of my children's photos! This winter has been cold and brutal with the snow! This two dolls added some light and warmth to a cold day. I am so glad they came to brave the chill with me. Want to see more cutie pies, look at this gallery! When life gives you snow...make snowmen!!! We have been hit hard here in the Northeast. No one is venturing out for much. It has been one storm after another and more snow expected on Tuesday! For sure we will make it to the snowiest winter on record for Boston. There is so much time left in winter, how could we not. But we are New Englanders, we need to teach our kids to be tough when it comes to snow! So we had a blast today playing in the snow and then brought some more inside to play kitchen with snow and food coloring. Then the ultimate was our snow volcano! Here are some pictures of the fun! Check out some more of my artistic children portraits! 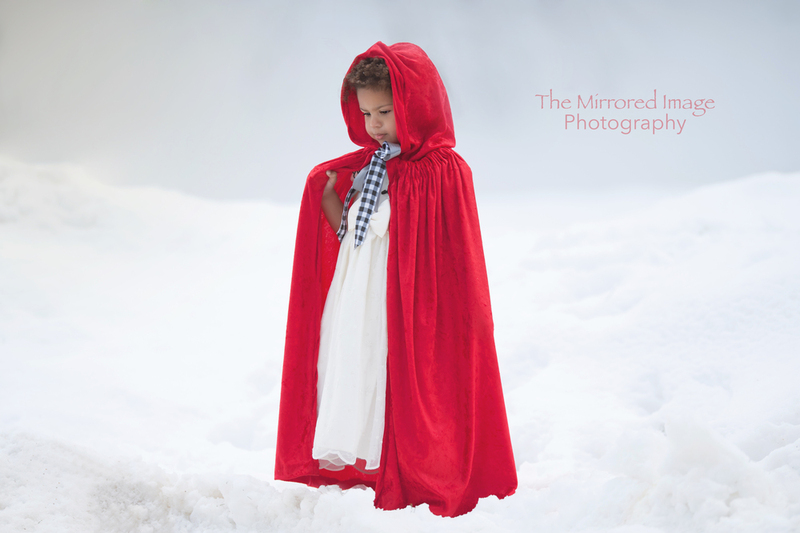 Children's Portraits during the New England snowpocalypse! For many of us, it seems like life has been put on hold. There is so much snow, no one wants to leave the house, and at the same time we all have cabin fever! So in the middle of the latest snowstorm, Lucy and I went out to play in the snow! Snow Kitchen and building snow castles was just what the doctor ordered. Of course the shoveling at nap time was not! Well, winter in New England can certainly be dismal sometimes. We have gotten so much snow with much more forecasted on the way! It is like we live in Antarctica! Before all the snow came, I set out to do a creative project and have gathered up a small group of great kids to model as something to have fun with. I wanted to do a segment on Grimm's fairy tales, the real ones! Something a little darker but still playful and fun. Here are the fruits of my labors. Also Abby's I might add since it was 20 degrees outside and she wore this cute little dress. You can see more of my creative children's photos in the Childrens Gallery! I absolutely loved working with this family on their family portraits. I had donated a family portrait session to one of our local charities. The mother of these families bought the session and asked me if I could squeeze in a session before Christmas. Of course, I was happy to oblige. It was so cold this day and the children were absolute troops. All in all, I was happy that we were able to capture such stunning images for them to bring back to their mom. Love this fine art photo shoot! I love work with kids and seeing their joy and sweetness.